SAN FRANCISCO, Calif. /California Newswire/ — A coalition of reproductive rights organizations and Storefront Political Media are working together to produce a new short film on the history of reproductive health services in California. The project will be partly financed through an innovating crowd-funding campaign. 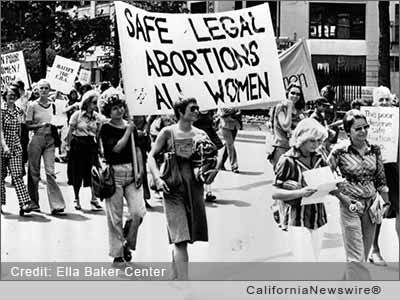 The new film will use first person accounts to discuss how Californians were able to lead the nation in securing reproductive rights, including access to legalized abortion, and in ending shameful practices like forced sterilization programs. It will also touch on the next generation of leaders and the challenges they will face. The film will be used next year to mark the 45th anniversary of legalized abortion in California, starting with the passage of Therapeutic Abortion Act in 1969. Joining CCRWF in the effort are Planned Parenthood Affiliates of California, NARAL Pro-Choice California, the California Coalition for Reproductive Freedom, California Latinas for Reproductive Justice, Black Women for Wellness and Storefront Political Media. Supporters can participate in the effort by visiting the crowd-funding website at Indiegogo.com http://igg.me/p/561085/x/5090525. Donate soon! We have set an ambitious goal of completing this project for release at the January 16, 2014 Women’s Policy Summit, hosted by CCRWF at the Sacramento Convention Center. For more information, go to www.ccrwf.org. Contributions are tax deductible, as CCRWF is based at the Public Health Institute, a nonprofit 501(c)3. Media Contact: Bergen Kenny, (415) 834-0501 ext 110, Storefront Political Media. PHOTO CREDIT: Ella Baker Center – www.ellabakercenter.org . Press release issued by CaliforniaNewswire.com – news source is entirely responsible for accuracy of content. For questions about this story contact the organization noted in the press release and not this website.